With discount cards, profits range from 50% to more than 100% depending on the size of your group and number of cards sold. Because they actually make it possible for customers to save money for an entire year on products and services they normally spend money on, you can meet your goals in far less time, without nearly as much work and effort. Discount cards stimulate the local economy through the local merchants, who enjoy increased business when a potential new customer comes in to enjoy the discount. All around, it’s an affordable, more profitable way to raise money whether your group is in need of a few hundred dollars, or even tens of thousands. Discount cards for fundraising help not only your cause, but those who purchase the cards as well as the participating merchants, thereby supporting the community as a whole. Great product, amazing profits, incredible value for the customer, minimal planning, new business for the merchants in the community. Discount cards offer everything you’ve been looking for in one tidy little product, wouldn’t you agree? 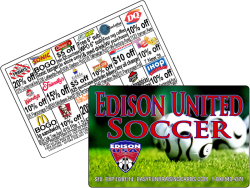 discount cards actually help stimulate the local economy; there are few products that are typically used for fundraising that can make that claim! 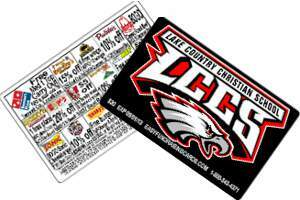 Choosing discount cards for fundraising allows you to make profits that are well above what you would earn with other products. there is no other single activity you could participate in or product your group could sell that offers extreme results with a minimum of preparation and work.